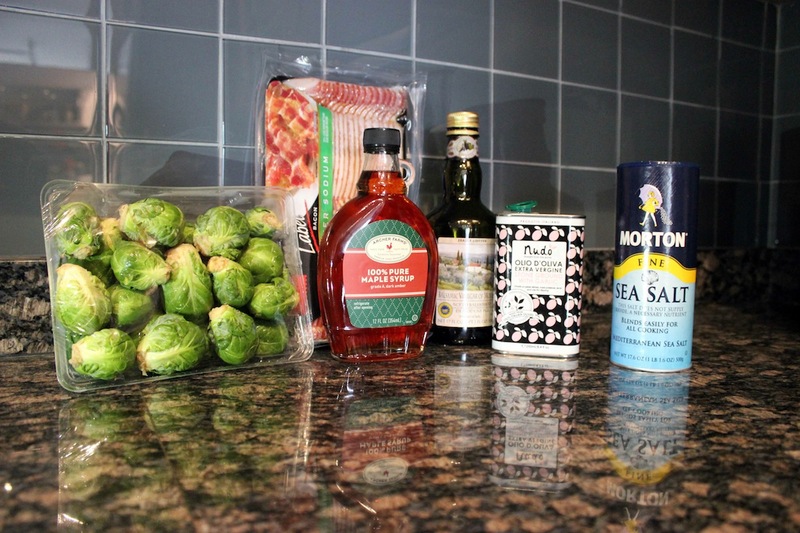 I've been on a HUGE brussels sprout kick lately, so when I ran across this recipe for Roasted Brussels Sprouts with Bacon (yum), Pecans, and Maple Syrup I had to give it a try. I don't love pecans so I thought I would cut that out of the recipe and make my own . This is super easy to do and it looks beautiful so it would be an awesome dish to bring to pot luck! Lay the bacon strips out flat on the same foil-lined baking sheet. Roast for 15-20 minutes. Transfer bacon to a plate lined with paper towels; pour rendered bacon fat into a small dish and then discard aluminum foil. When bacon is cool, finely chop. 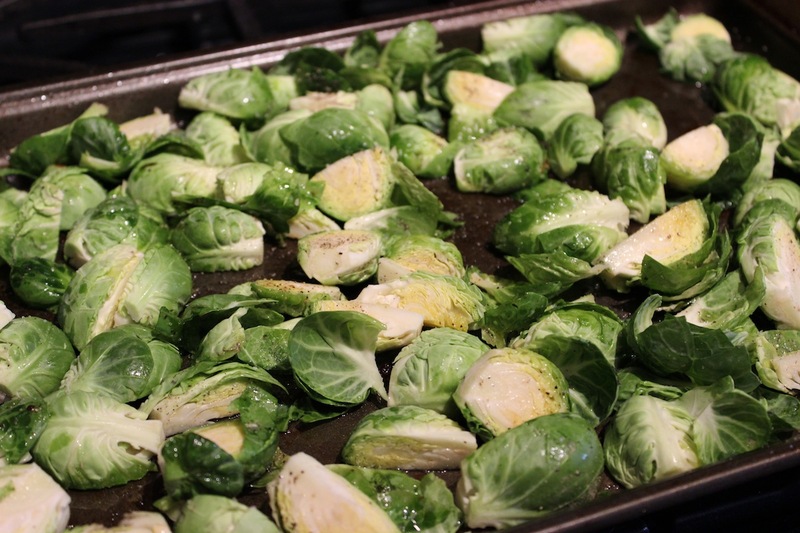 Turn the oven heat up to 425 degrees, and line the baking sheet with fresh aluminum foil. 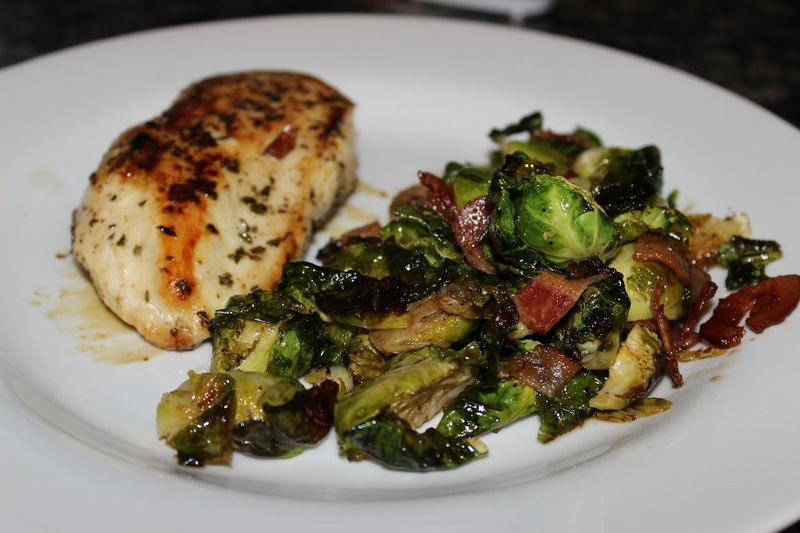 Using a rubber spatula, toss the brussels sprouts with the rendered bacon fat, olive oil, salt and pepper directly on the baking sheet. Roast, stirring midway through with rubber spatula for even browning, until brussels sprouts are tender and caramelized, about 20 minutes. Add balsamic vinegar and maple syrup and toss to coat evenly. Taste and adjust seasoning, then transfer to a serving dish. Right before serving, top with bacon. Serve hot or warm.